The following is an excerpt from an obituary which appeared in the Cumberland Times-News, March 15, 2017. It notes that Dr. Glick among other achievements, was Allegany County’s first Emergency Medical Services (EMS) Director. Dr. Gina Phillips Moran Glick, 85, of Coppell, Texas, formerly of Cumberland, passed away Feb. 23, 2017, at 12:06 p.m. Born Dec. 6, 1931, in Chicago, Ill., she was the daughter of the late Edward Langan Moran and Virginia Louise Phillips. She was preceded in death by her husband, Louis Michael Glick; and daughter, Celeste Michele Glick. Dr. Glick, after graduating medical school and completing her residency, moved to Cumberland, with her husband, Dr. Michael Glick, and initially practiced as an anesthesiologist in a private anesthesia practice from 1959 to 1983. After moving to Texas, she joined the teaching faculty at the University of Texas Southwestern Medical School Dept. of Anesthesiology from 1985 to 1999, with duties mostly focused on training resident physicians. She was a member of Saints Peter and Paul Catholic Church, Cumberland, and St. Monica Catholic Church, Dallas. She was a graduate of Mundelein College and Stritch School of Medicine of Loyola University, Chicago. She was a member of the Maryland State Medical Society (MedChi), president of the Maryland/District of Columbia Society for Respiratory Care, member of the American Society of Anesthesiologists (ASA), and Texas Society of Anesthesiologists. Highlights from her many accomplishments include helping found and act as the first medical director of Emergency Medical Services in Cumberland, and the Tri-State Poison Control Center of Maryland. Upon full retirement, she moved to Christus St. Joseph Village of Coppell, where she was an active community member and friend. While there, she helped facilitate the RCIA program and never shied away from social activities with her friends. She even had a pet companion rabbit that she was very fond of. Also, along with her brother, Kevin Moran, she was an avid student of the forensic science of the Shroud of Turin. 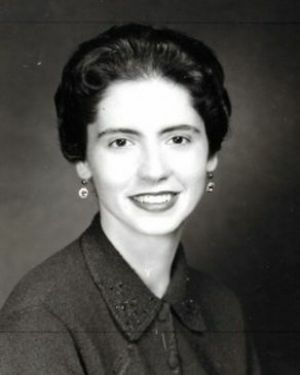 She is survived by two sons, Mark Glick and wife, Patricia, Matthew Glick and wife, Jill; one daughter, Felicia Glick; one brother, Kevin E. Moran of Belmont, N.C.; 14 grandchildren, Caitlin, Ryan, and Dylan Carroll, Emily, Hannah, Margaret, Henry, and Rebecca Glick, Eric Oberwise, and Vivian, Michael, Joseph, Noah and Christian Glick. Friends will be received at Christus St. Joseph Village, 1205 E. Sandy Lake Road, Coppell, for a memorial prayer service on Friday, April 7, 2017, from 7:30 to 8:30 p.m. The next day, Saturday, April 8, 2017, at Christus St. Joseph Village chapel, from 11 a.m. to noon will be the Catholic Rite of Christian Burial. Interment will be at Saints Peter Paul Catholic Cemetery in Cumberland. A graveside service was held for Dr. Glick on Saturday, August 12, 2017 at SS. Peter and Paul’s Cemetery in Cumberland, MD.